I apologize for being so MIA lately - moving is exhausting! We wrapped up renovations at the #WhiteHouseOnThePrairie about a month ago and have spent every bit of spare time packing, moving, cleaning, organizing and decorating. Remind me what it feels like to relax?? I'm hoping to finish decorating and settling in soon and finally be able to share some before and after photos with you! We are in love with how everything turned out - coming home each day is a dream! 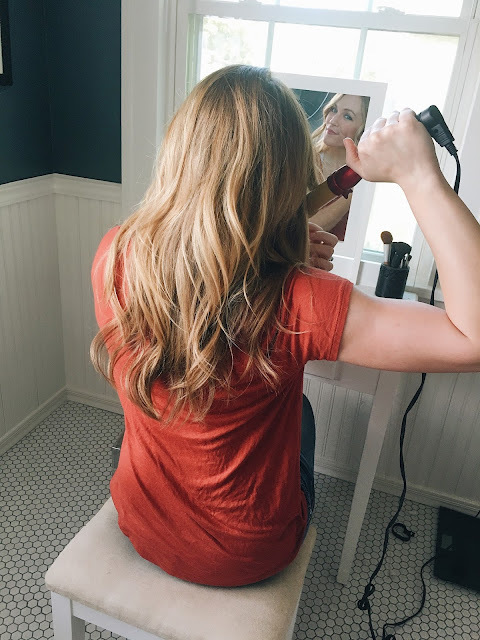 I am especially in love with my master suite addition; having a big bathroom and makeup vanity, plus a glamorous walk in closet, makes getting ready so fun! Speaking of......below are some of my must-have, can't live without, favorite hair products that I swear by! I do not claim to be a pro when it comes to makeup.....but hair? I know hair. I've basically had the same haircut since 2005.....#noshame. It's very thick and long (no extensions), and I use heat on it almost every day, so keeping it healthy is a must. I get compliments and questions on my hair all the time, so I thought I'd share a few of my go-to's. 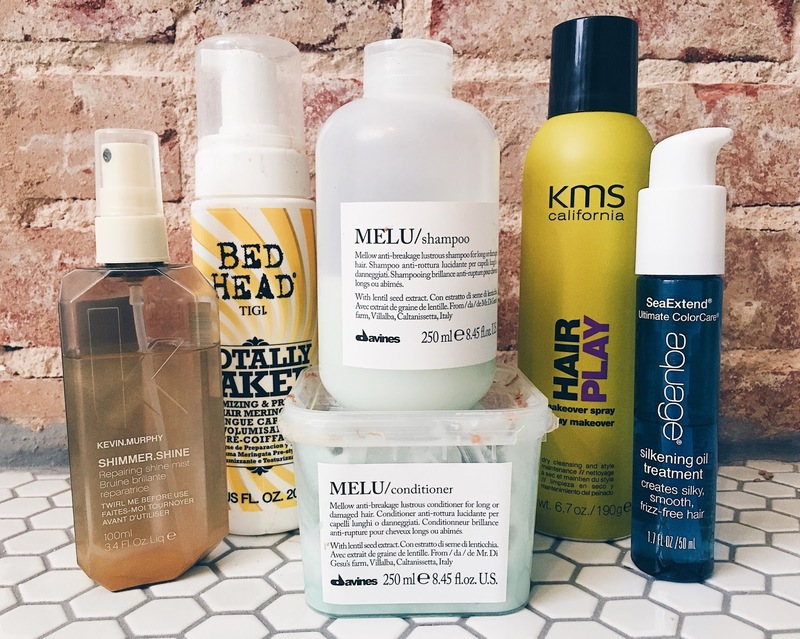 These products help keep my hair soft and silky and my ends clean cut - so much so that I've purchased them over and over again! One of my besties, Ashley, sold me on this stuff a few years ago and I. Am. Obsessed. She works for the Academy of Hair Design and always keeps me up-to-date on the latest and greatest products. I use one pump and spread it through the bottom 3/4s of my hair before I blow dry. It leaves my hair so silky smooth!! It is practically weightless and does not weigh my hair down like other some other leave-in products tend to do. Again, shout out to Ash for introducing me to this! It is the BEST dry shampoo out there IMO! I use it at night on days I don't wash my hair (because washing too often isn't healthy). I just spray on my roots, tousle with my hands, let it sit for a minute and then brush. When I wake up the next day, my hair feels clean as can be! It does not leave any white residue and does not give my hair very much texture, which I prefer. Note: if you like to use dry shampoo for texture/backcombing/volume, this might not be the one for you. OMG. This stuff. I can't recommend it enough. There are no words! My hair stylist, Jamie, at Scissortale Salon in OKC, used it on me once and I knew in that moment that I had to have it. It is a little pricey but lasts a long time (like, a year) and is worth every penny! I spray it on my hair after styling and it not only adds some shimmer, but makes it so SOFT and silky! It also helps repair dry ends (win) and smells absolutely amazing (double win). I especially love it on days in-between washes when my hair tends to dry out - it seriously brings it back to life without weighing it down! I am a firm believer in switching your shampoo around regularly. I feel like my hair gets used to it and it stops working? I have no actual evidence of this, but I'm not Veronica Mars, soooo. When I'm not using MELU, I use the Paul Mitchell Tea Tree products. My mother-in-law has them in her guest bathroom and I fell in LOVE the first time I tried them. When we go to visit, I will wait to shower until we get there just so I can use them! Lavender might be my favorite scent of all time - it's so relaxing! I always shower before bed, and the lavender helps me wind down at the end of the day. What I love about this combo (besides the smell) is that the shampoo is incredibly deep cleaning! The conditioner doesn't have quite as much moisturizing power as MELU, but it definitely gets the job done and leaves my hair so soft to the touch - I always want to pet it! Ha! This is the product I reach for when I am too lazy to blow dry my hair....so...pretty often. I use 3 pumps of the foam and spread it through the bottom half of my hair (I don't like product near my roots - it makes them get dirty faster). I sleep on my wet hair and wall-ah, mermaid waves! I do have naturally wavy hair already, but this product adds the perfect beachy texture. Sometimes, I use it before curling, as well. I feel like it helps my curls stay in place longer. I do not like to use it when I blow dry, though, because it is a little sticky! 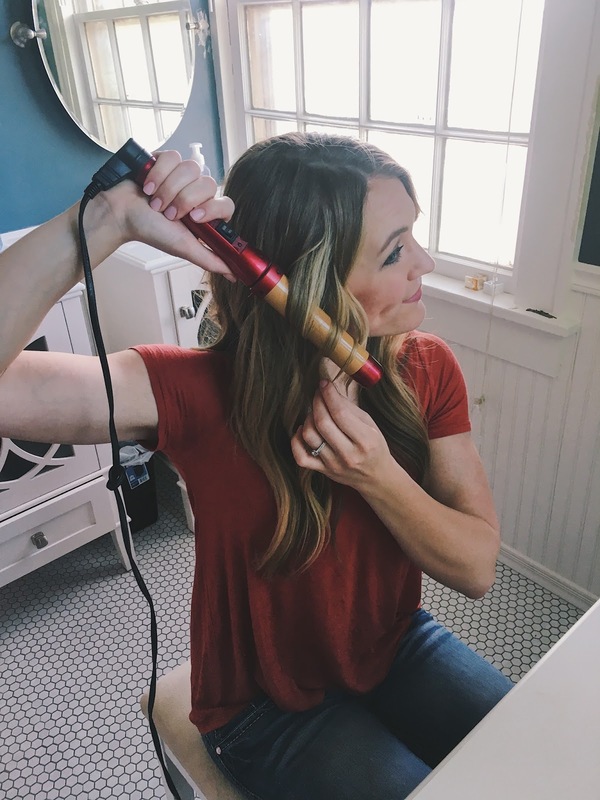 I get asked all the time what I use to curl my hair. 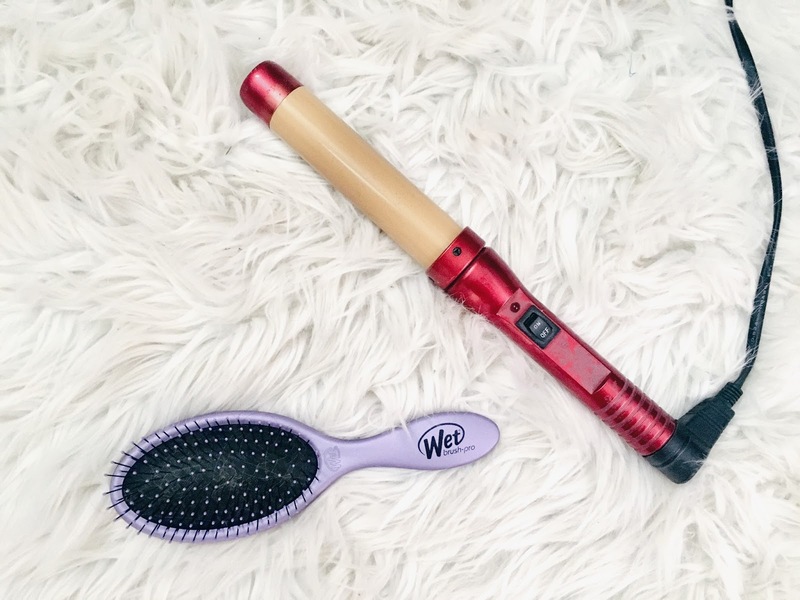 So many bloggers rave about the T3 curler, but holy macaroni that thing is pricey!! I have had this CHI wand longer than I've known my husband (that's 6 years but who's counting) and it is still going strong, so I see no reason to change! It is a wide barrel (1.5"?) and the entire wand is the same width. They don't make this exact model any more (sad face), but I linked a few similar ones in the widget below. I hope mine never goes to curler heaven because I will be completely devastated. I use this wand to create the Serena Van Der Woodsen loose curl look. Xoxo. This is the only thing on my hair must-have list that I haven't been using for years. I just got it a few weeks ago thanks to a recommendation by Macey over at Beyond the Blonde and I was so impressed that I had to share! It detangles my hair immediately with no pulling or breakage. It's like magic. If only I had this back in '94 - it puts No More Tangles to shame! I do not recommend using this while blow drying as it is a little flimsy for my thick mane, but it works wonders on wet hair. And it's only $12, so, I mean, why not? OK, sorry for being all Chatty Kathy, I'm done now! I'd love to hear your favorite hair products in the comments - are there any I need to add to my collection? P.S. You can purchase my top here. Best, softest v-neck EVER and it comes in several colors! I wear it running errands, sleeping, brunching, doing chores.....you name it! I even wear it to work under a cardi! It fits TTS but is flowy!